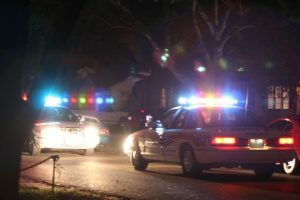 Defendant in this case alleged the Miami traffic stop was illegal – and the trial court agreed, meaning any other evidence gleaned thereafter would be inadmissible. However, the 3rd DCA reversed. According to court records, the state presented evidence that an officer with the Miami-Dade Police Department working a crime suppression detail in plain clothes and an unmarked car when he observed defendant (not the subject of an investigation at the time) with a rear license plate on his vehicle wherein a metal frame obscured the words, “MyFlorida.com” on the top and “Sunshine State” on the bottom. It’s a frame not unlike many that are used by motorists all over the state. The officer conceded the ID number and decal number were not obscured and both were visible clearly from 100 feet. Still believing the frame to constitute a violation of Florida law, he initiated a traffic stop and issued a citation for the obstruction of the plate. During the stop, smelled marijuana. He initiated a search of the vehicle, but no marijuana was found. However, alprazolam pills were, so the driver was arrested for possession with intent to sell, as well as driving under a suspended license. Defendant’s criminal defense attorney filed a motion to suppress the evidence collected in the stop (fruit of the poisonous tree doctrine), alleging the stop based on the tag obstruction statute was not legal. Trial court agreed, relying on a 1997 ruling by the 5th DCA in Florida v. St. Jean, wherein that appellate court ruled the obscured county name was not sufficient to show defendant had committed a traffic violation and thus police didn’t have a reasonable suspicion to stop defendant’s car – and therefore evidence seized pursuant to the stop was suppressed. Here, it would seem the information obscured was even less pertinent – “MyFlorida.com” and “Sunshine State” – two phrases on every plate in the state. The trial court noted that St. Jean was not overruled by the Florida Supreme Court and there was no interdistrict conflict. The state appealed, arguing the ruling in St. Jean didn’t compel the suppression motion be granted in this case. The 3rd DCA ruled St. Jean was inapplicable here because it was based on on an older version of the statute that did not include language specifically about the word, “Florida” on its license plates. The court ruled that while it couldn’t be sure of the legislative intent in 1995 – when the statute relied on in St. Jean was written – but the intent of the legislature in 2005 (when the newest version was updated) seems clear, the court held. The statute clearly includes the word “Florida” as among those words/ numbers that must be clearly visible. Although the court ruled against defendant here, it went on to write in its conclusion that it shares the trial court’s and 5th DCA’s concern that license plates rims and frames are a common practice among Florida drivers, and dealerships often supply them, as do colleges, clubs, sports teams or other groups. Still, the court wrote that the legislature gets to make the laws governing public roads and highways, and this falls under that purview. Our Fort Lauderdale defense lawyers note this ruling is significant because it lays bare the fact that anyone with one of these frames (and there are an awful lot of them on the roads) could be at risk of a traffic stop on this basis. And it’s not so much that a ticket for this particular offense is so worrisome, it’s what police might find after the initial stop.